The BCS just wont go down without a fight. Just more than a week ago we might have been wondering what would happen if we ended the season with four undefeated teams. Now we’re trying to piece together what just happened and explaining how a one-loss team is on the verge of making BCS history. After Alabama’s reign over college football was seemingly cut down by Auburn things got a bit wonky in the BCS. Of course, this opened up the No. 1 spot for the first time this season, and fresh from an in-state victory over Florida, Florida State was more than happy to claim its spot atop these seventh BCS rankings. Then things got interesting. Undefeated Ohio State was supposed to cruise to the No. 2 spot tonight. After all, no undefeated AQ conference team has ever been leapfrogged for a top-two spot in the BCS standings by a once-beaten team. But No. 3 Auburn made the No. 2 Buckeyes sweat for the second position tonight. And both teams will sweat for another week while we chew on the scenarios. Auburn has Missouri to prepare for, Ohio State has Michigan State on its plate. Wins from both squads next weekend might set up a final chase for the No. 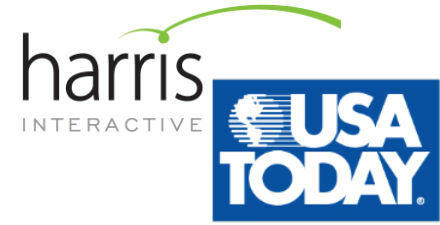 2 spot that will rival any of the best controversy the BCS has had to offer. We can sit back and enjoy it. The rest of the BCS falls mostly into place as expected. Alabama claims No. 4 with SEC title game-bound Missouri rounding out the top-five. Oklahoma State, in the driver’s seat for a AQ bid for the Big 12, is in at No. 6, and Pac-12 title game combatant Stanford is in at No. 7. South Carolina, Baylor, Arizona State and Michigan State are setting themselves up for BCS eligibility while Oregon and rounds out the top 12. Northern Illinois is just a win away from a second straight BCS buster bowl bid after entering the top 14 and seeing Fresno State lose at the most inopportune time. It’s all come down to one week. Not sure if we’re ready to say goodbye without one final blowout weekend. 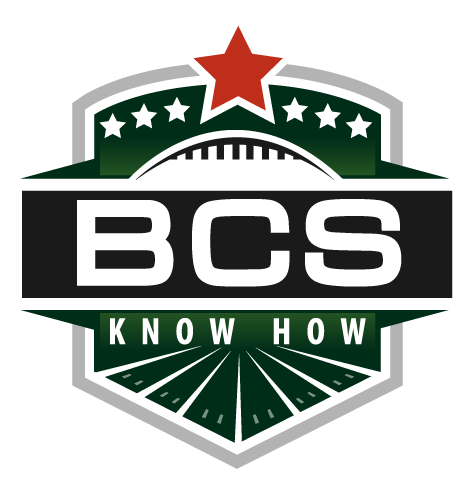 Be sure to stay tuned to BCS Know How and @BCSKnowHow throughout the coming week for all the latest analysis and news. 1-9 great, 10 not good, 11-12 good. 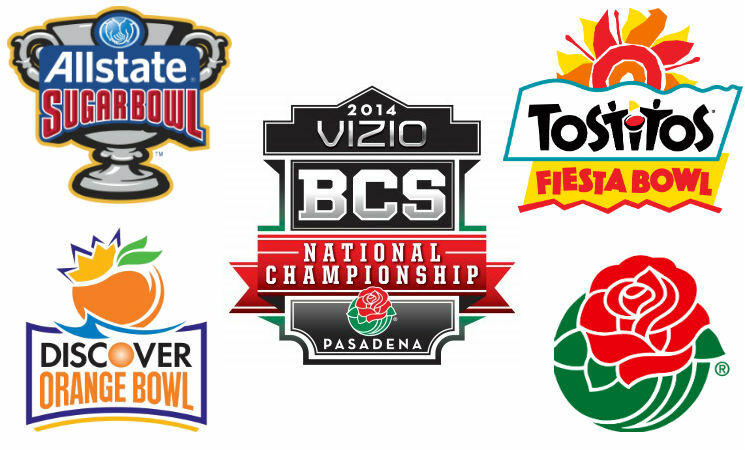 The death knell for the BCS, perhaps most appropriately, will likely be one of controversy. The system would have it no other way. Auburn’s stunning victory over Alabama likely clinched at least a somewhat controversial end to the BCS’s reign over college football as the Crimson Tide’s spot atop the college football world is now over. Where, then, does that leave the BCS when the seventh standings of 2013 come out Sunday? Obviously for the first time this year, Alabama will not be No. 1. That honor will fall to Florida State, making its way back to the top of the BCS for the first time in what seems like ages. Then it gets interesting. Clearly, Ohio State surviving its rivalry meeting with Michigan will be a huge boon to its national title game hopes. But Auburn’s victory over the previously unassailable Alabama could mean a huge swing of support in the Tigers’ direction. Who will land at No. 2 this week? 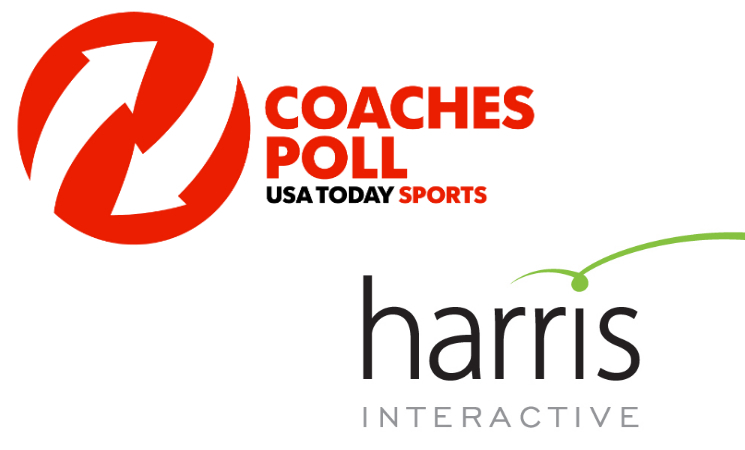 It’s likely Ohio State, as the voters will give the benefit of the doubt to the undefeated and long-revered Buckeyes. But Auburn will lurk at No. 3. And with a chance to clinch the SEC title next weekend and the growing tradition of SEC champs playing for the BCS title, Auburn’s not out of this yet. A win over likely BCS No. 5 Missouri next weekend paired with a close Ohio State victory in the Big Ten title game could cause the chaos we’ve come to expect. After Missouri, it’s all battling for the at-large and automatic BCS bowl bids, including Northern Illinois’ quest for a second-straight bowl game bid and Clemson, Oregon, Michigan State and Baylor angling for eligibility and spots. Plus, the auto-bids given to the champs of the six AQ conferences. Just one more BCS standing after Sunday, ever. The end is close! The BCS always did cause lively debates, most of which were reliant upon projections. That’s why a site like this could even exist. What would happen if a team won out? Or if a top team lost? As the season comes to an end and the unexpected does happen — Florida State is the No. 1 team in the country, Auburn beats Alabama on a returned field goal with no time remaining — things begin to become less about the projection and more about the on-field performance. Prove your team is better. The BCS bowls give teams the last chance to do that. Where do these great squads belong when the season ends? Comment: When the season plays out like it has, traditional powers like Ohio State and Florida State seem to often take advantage. Sure, if Auburn is to win the SEC next weekend they’ll feel like the BCS was created specifically to leave the Tigers out, having already been left cold in 2004. For now it seems like these two teams — save for the conference title games they’re still yet to play — have done all they can to earn these spots. Comment: With Ohio State BCS title game bound, the Rose Bowl would normally look to the Big Ten’s roster of highly ranked teams for a replacement. The problem, especially after Wisconsin dropped its best shot at securing a at-large bid against Penn State, is that there aren’t many of those around this year. Michigan State has a shot to remain in at-large contention, but they’ll have to make a strong statement against Ohio State in the conference title game to keep these hopes alive and stay in the top 14 at season’s end if they lose. Comment: Amazing to see the ‘SEC champ’ title go next to the Sugar Bowl selection, isn’t it? For years we’ve seen the SEC champion head straight to the BCS title game, no questions asked. Of course, the Sugar Bowl turned around each year and took a replacement pick from the conference to fulfill its regional preference. But if Auburn misses out on the title game, they’re slotted here automatically. And with the second ‘draft’ pick among at-large picks, the Sugar will have to give AAC champ UCF a serious look so as to not select Northern Illinois. Comment: Does the Orange Bowl actually have the guts to bypass the ACC? Clemson’s loss to South Carolina might allow the bowl to do that, and select somewhat underwhelming, but powerful, Oregon. The chance to pair the Ducks with Alabama might present itself if ACC champ Florida State is title game bound as expected. But can the Orange Bowl really afford it? For now, a two-loss Tigers team probably gets the choice over two-loss Oregon and once-beaten Baylor. Comment: A Big 12 that has been unpredictable and a whole lot of fun to watch is finally winding down with Oklahoma State holding poll position. All the Cowboys need to do is top Oklahoma in Bedlam next weekend to grab this spot. Though facing Northern Illinois might not be the reward the Cowboys are looking for, the Huskies have played a strong followup season after making a BCS bowl last year and a win next week all but assures them of a return trip. The drama had seemingly been sucked out of the final weekend of the college football season until we figured out that a borderline non-AQ BCS buster was still possible. Still many were wary. But then things started falling Northern Illinois’s way. After the Huskies grabbed the MAC championship from Kent State’s clutches in overtime, they sat at home and watched UCLA and Texas lose. Then they saw the thing that proved most key — Nebraska get crushed by Wisconsin. Those things, combined with the requisite boost the Huskies got for beating previously No. 17 Kent State put the Huskies at No. 15 this week. And as we learned these last few days, that was the threshold. Finishing ahead of the Big East’s BCS representative, No. 21 Louisville, Northern Illinois is Orange Bowl bound, where the Huskies will take on Florida State. Elsewhere the tension was somewhat minimal. As expected, undefeated Notre Dame is on its way to the BCS title game, where the Fighting Irish will find SEC champion Alabama waiting. Conference champions Wisconsin, Stanford and Kansas State found themselves in their anchor bowls, joined by at-large Florida — the beneficiary an automatic rule including the top-ranked AQ non-champion — and at-large Oregon. All part of the BCS’s now teenage plan to combine bowl affiliations and numbers to rank and distribute games during bowl season’s final week. Worked out pretty interestingly this year. We’ve got one more of these ahead of us. It’s been fun, now let’s enjoy bowl season. The glaring oversight is of course at No. 16, where NIU lands a key one spot above where they needed to be. Many shared that omission, but shout out to Yesh Ginsberg, who stood out and correctly predicted that NIU would have a simple time qualifying for the BCS, which they did.